The Tampa Bay Rays are a surprise to the MLB. This is a team that many thought would be a losing franchise. The team lacked any big-name superstar. They play in a division where two teams finished with 100 or more wins. Those two teams also have a way of spending or going out and getting any free agent available they want. The Rays proved many experts and writers wrong, including myself. I predicted that the Tampa Bay Rays would lose 80-90 games. I am happy that I was wrong. In the future, they will be a force. What they have done is a remarkable thing in building from the minors. The Red Sox and Yankees should be on the lookout for the Rays. They are young, and they are a team with a lot of heart. There were many reasons why the Tampa Bay Rays achieved a 90-win season. They built their team with young guns. There were three. The first player is possible Cy Young award winner Blake Snell. Snell had a bad season a year ago but has bounced back this year to win 20 games. The second player is second baseman/shortstop Willy Adames. He had a lot riding on him coming up for the Durham Bulls. He has been all that they said he would be and then some. The final player is first baseman, Jake Bauers. He is good friends with Willy Adames as they played in the minor leagues together. They together have made the left side on the infield one of the best in all of MLB. Both have had game-winning hits which helped the team get to where they are. These gentlemen are not the only ones that helped the Rays get to 90-wins. Ji-Man Chio and Mallex Smith also helped and are players to watch moving forward. The Rays also might have the manager of the year in Kevin Cash. He had what many called a stupid idea at the beginning of the season with every fifth day starting a bullpen pitcher. He may have now changed baseball because this worked all season. It is now the fans turn to make things happen. 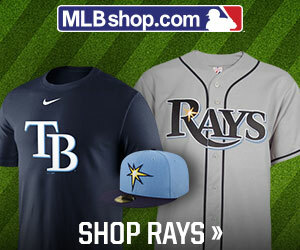 The Rays are looking to build a new stadium in Tampa. Ownership made an exciting move yesterday. Rays ownership purchased the Tampa Bay Rowdies. Now the why would they do that? The answer is simple. Now they can put two teams in the new stadium. They also want to take the current stadium the Rowdies play in and bring the Rays back to St. Petersburg for spring training. This would now have St. Petersburg and Tampa be a part of the Tampa Bay Rays moving forward. Things are looking bright for the Tampa Bay Rays, and Rowdies and my article seems pretty wrong. How do you see the Tampa Bay Rays in the future? Leave a comment below.